For the third day in a row the Saudi MOH Coronavirus website seems to be having problems loading (sometimes slow, sometimes displaying an error), and for the past two days another Saudi website wecanstopthis.com has carried a single, daily graphic (see above) showing the location and number of MERS cases, recoveries, or deaths. Gone are the daily tables, although one summarizing cases from April 19-25th is posted. Hopefully this is just a temporary `fix’ while they get their main website working again. But over the past year we’ve seen an ongoing degradation of the MERS data provided by the Saudi MOH, with fewer and fewer epidemiological details being released in their daily reports. The promise has been made that we’d see full details in weekly summaries, but those have been disappointing as well. 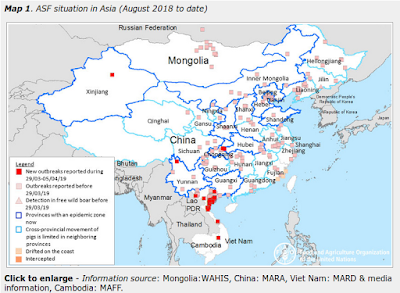 This trend in delayed and minimal reporting is something that we’ve also seen adopted by China this year with their H7N9 outbreak, and even more strikingly, by the Egyptian MOH with their H5N1 outbreak (see More Than One Way to `Contain An Outbreak’). While these countries are presumably still providing the requisite information to the World Health Organization under the IHR reporting regulations, a growing lack of transparency – coupled with increased restrictions on what the media can report – are a lousy recipe for effective global disease surveillance. I’ll withhold judgment on this latest change in the way MERS is being reported by the Saudi’s until we see if it is permanent change or simply a stop-gap measure while they address their website issues. But based on the trends of the past year, I’m not terribly hopeful.